Vertical World Adventures is a professional outdoor adventure guiding service located in Worcester, Massachusetts. We believe in the transformative power of an outdoor adventure lifestyle. 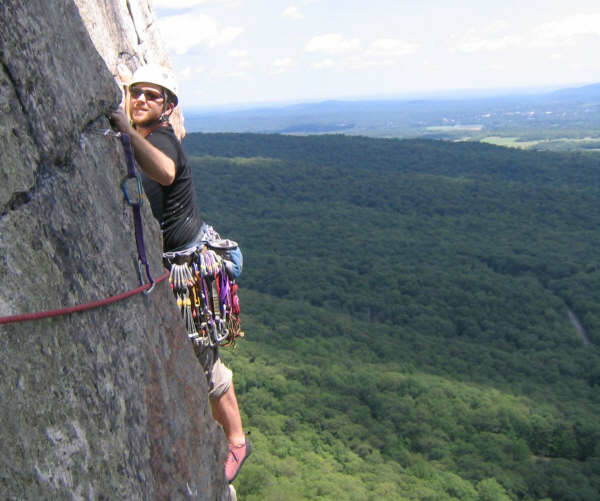 Since the founding of Vertical World Adventures in 2000 we have been successfully guiding clients on outdoor adventures trips across the U.S. We lead many outdoor adventure trips in Massachusetts to beautiful cliffs like Crow Hill in Leominster State Forest. 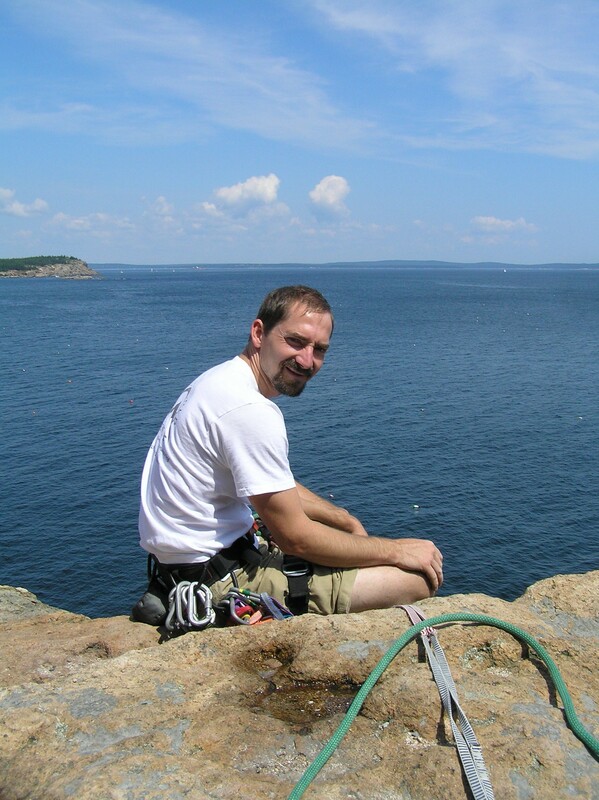 Yet, we also guide multi-day adventure trips to amazing climbing destinations throughout New England and across America. We strive to satisfy our clients adventure cravings by working with them to design advenuture trips they have always dreamed about. This includes private outdoor climbing parties and corporate team building. Vertical World Adventures realizes that your interactions and experiences with your guide is perhaps one of the most important elements in the success of any adventure. For this reason we hire only guides of the highest personal caliber and professionalism. Our mission is to meet all the needs of our clients and ensure that your time spent with us is extremely rewarding and memorable. We wish to form a lasting bond with our customers. We take great pride in sharing and teaching about the true joy of outdoor adventure and helping others reach their personal goals. We wish to do everything in our power to offer the highest quality adventure opportunities that focus on safety without compromising excitement and inspiration. If you are putting together a private trip and would like to request a certain guide please feel free to do so. We know that the relationships formed through mountaineering and climbing are very strong and comforting. Founder, director and lead guide of Vertical World Adventures. Michael is passionate about guiding and sharing with others the priceless gift of outdoor adventure. Since 1996, Michael has professionally guided thousands of people, of all ages and socioeconomic backgrounds. 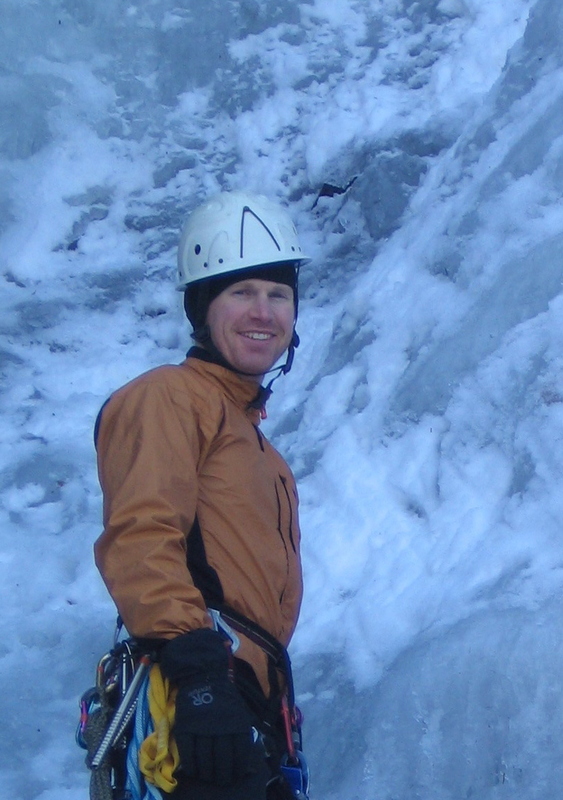 Skilled in the art of traditional, multi-pitch rock and ice climbing and mountaineering, Michael's undivided attention to the safety and needs of his clients is unparalleled. Michael recently earned a Bachelors of Science degree with a concentration in Education through Worcester State College. He is also currently certified in Wilderness First Aid and CPR/Life Saving through Stonehearth Open Learning Opportunities (SOLO). Since 1996, Sue has climbed extensively throughout New England and across the U.S. An avid rock climber, Sue has done many classic climbs in Yosemite, the Tetons, Sedona, Smith Rock, and Seneca Rocks. Her rock climbing abilities range up to 5.10 and she is a beginning traditional lead climber. Sue also enjoys ice climbing, hiking, cross country skiing and running. Her other interests include creating art, playing guitar and traveling. She is certified in wilderness first aid and CPR/lifesaving through SOLO. Sue has her M.A. in Expressive Therapies and is currently working as an Art Therapist with children at the Assabet Valley Collaborative in Marlboro, Massachusetts. Mike's been climbing since 1994, and in that time has been able to climb around the US as well as in Japan and Thailand. He spent five years working as a climbing guide and instructor for Outward Bound where he took students on their first multi-pitch adventure and taught technical skills to assistant instructors. Since then Mike has received an M.A. in Intercultural Relations and is currently teaching high school history. His favorite climbing locations are the New River Gorge, the Gunks, and Cochise Stronghold, but he's really into exploring the Northeast right now. push themselves, and enjoy the great outdoors. Vertical World Adventures was founded in 2000 by Michael Donofrio with the intention of offering people fun and professional outdoor adventure guiding experience. Our mission has been to safely introduce others to the joys of an adventure liefstyle. Vertical World Adventures is fully insured and a member of the Worldwide Outfitters and Guides Association.